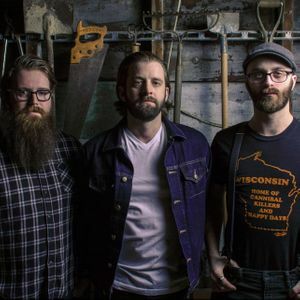 3-piece folk rock trio from Milwaukee, WI. Sample some craft beer and listen to amazing music with beautiful harmonies. Tastes and Tunes (formerly known as “Folk at 408”) is a celebration of the Wisconsin singer/songwriter community of musicians, as well as a fundraiser to help ongoing improvements to the JPAC facility. All ages are welcome, but you must be over 21 for the beer tasting. Tickets are $15 and include 5 tasting tickets. The tasting will take place from 7:30pm-8:00pm. At 8:00pm, guests will be invited to their seats which will be on stage in the round with the artists. A cash bar will then be available. You won’t want to miss this intimate night of acoustic music while sitting on the historic JPAC stage after sampling some craft beers.